The Swish Design Studio Metal Curtain Pole range available in a 28mm and 35mm diameter features 11 design led finial styles available in 4 different finishes; satin steel, chrome, antique brass and graphite. 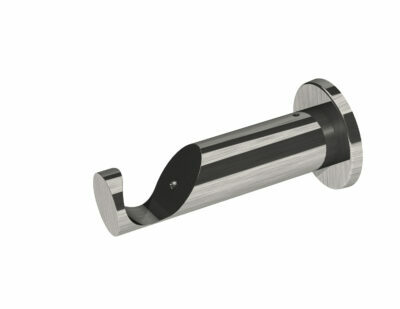 It offers flexibility as the poles are available with or without rings and with wall or ceiling fix brackets. 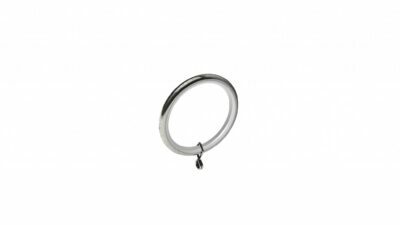 You can also choose between the standard rings or luxury lined rings. Co-ordinating holdbacks are also available to complete the look. 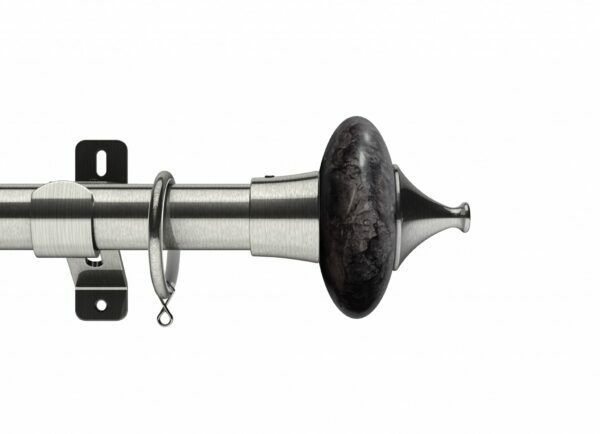 This 28mm Swish Design Studio curtain pole kit includes the poles, brackets, rings (if selected) and finials. Poles 300cm and above are supplied in 2 pieces with 3 brackets and a joining piece. 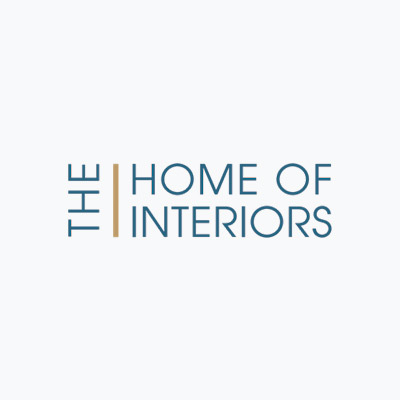 Swish have recently launched a luxury round (wall fix), luxury square (wall fix) and tubular style bracket (that can be ceiling or wall fixed). If you would like to order these they do need to be ordered as additional items. 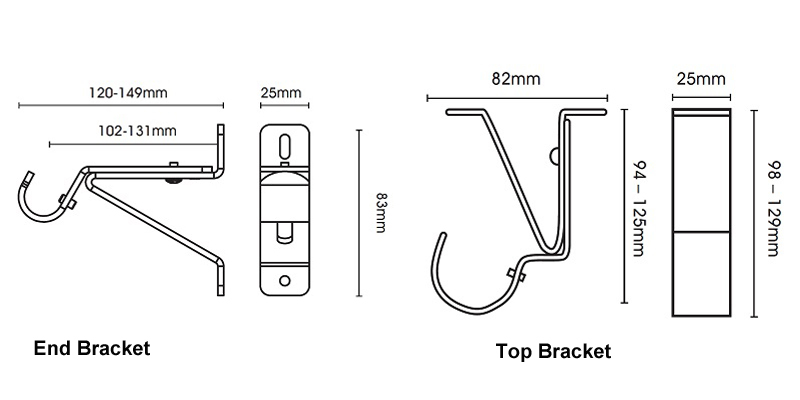 Unfortunately we can’t substitute them for the brackets supplied in the standard kits. Please see accessories below. 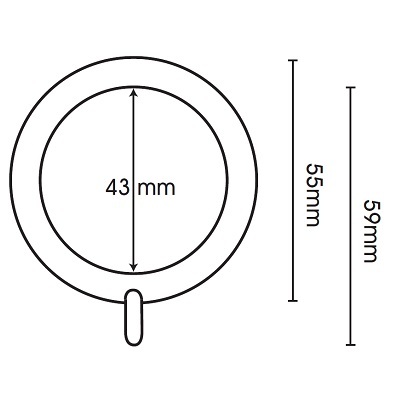 Available in: The Swish Design Studio range is available in 28mm and 35mm diameters. 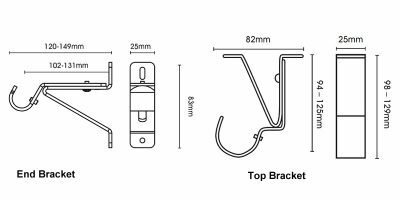 Bracket Text: This pole set can be supplied with strong, extendable triangulated wall or top fix brackets. Bracket style: Wall or ceiling fixed triangulated. 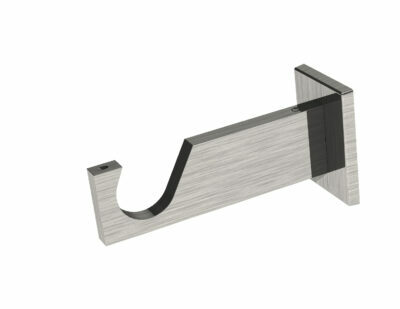 Bracket fixing type: Wall or ceiling fix. 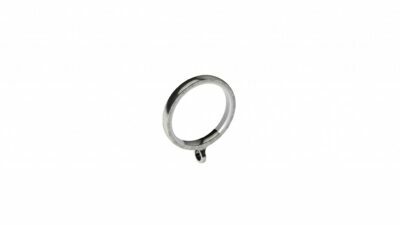 Ring Text: This pole can be supplied with standard lined rings, luxury lined rings or without rings for eyelet or tab top curtains. 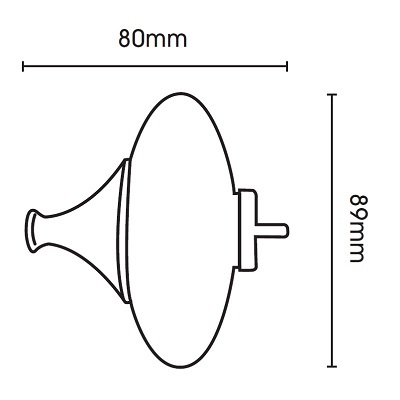 Type of ring: Round. Nylon lined rings for smooth and silent operation.